Getting an appointment with a doctor in Belgium is relatively pain free. There are plenty of English speaking practitioners around and if you haven’t had one recommended to you by a friend or colleague, an invaluable go-to is the extensive list of medical facilities and English speaking practitioners downloadable from the US embassy website. Most doctors don’t have administrative staff, and calls will go straight through to them. They call you back if they’re busy, and you can discuss the problem before you go to see them or before they come to you. You can also walk into a medical centre which should have several doctors on hand to see you within the hour if you’re prepared to sit it out in a waiting room. Specialists work by appointment only and unlike other countries, you don’t need a referral from your GP, you can call them directly. The most grating thing about the Belgium consultation system is that you have to pay upfront for the consultation and whatever medication or treatment is prescribed, then claim a partial refund for it later. Consultation fees are displayed in the waiting areas, and most doctors will tell you about the fees over the telephone before they will see you. Charges vary according to whether the appointment is in the surgery, in your home, in the evening or at weekends so it’s good practice to ask over the telephone to avoid any nasty surprises. Reimbursements are only possible for services from care providers who are recognised by the national RIZIV/INAMI national system, so do ask. If you entrust your global medical record (DMG) electronically to your GP, you’re entitled to a 30% reduction in fees at that surgery. But be aware, private practitioners can charge far more than the standard (conventionné/geconventioneerd) rates set by the national system. If you’ve already registered with the Belgian social security system, you’ll need to organise your healthcare insurance with a mutuality fund. Insurance provider Partena has a dedicated Partena Business and Expats divison in English, which can help you identify your needs. Have your Belgian e-Id identity card at hand at the consultation. GPs will use it to check whether you qualify to have your medical expenses reimbursed. If you’re not registered but you’re a European national, you’ll need your passport and a European Health Insurance Card from the country you are still registered in, which will enable you to reclaim the cost in that country. If you’re a non-EU national, check whether your country has a reciprocal healthcare agreement with Belgium. Although more and more doctors are moving to electronic payment systems, most still only accept cash. They will give you an attestation – a receipt/ treatment form detailing the treatment and cost, that you can send to your mutuality for a refund. These are valid for a period of two years but obviously, the sooner you get it in, the sooner you get your partial refund. After registering with the Belgian social security system, you should have received a set of stickers. These contain all the details the mutuality will need to process a refund of costs. Remember to attach a sticker onto each attestation form before sending it. The refund can be up to 75% of the cost, although it depends on the care, the provider and your personal circumstances. 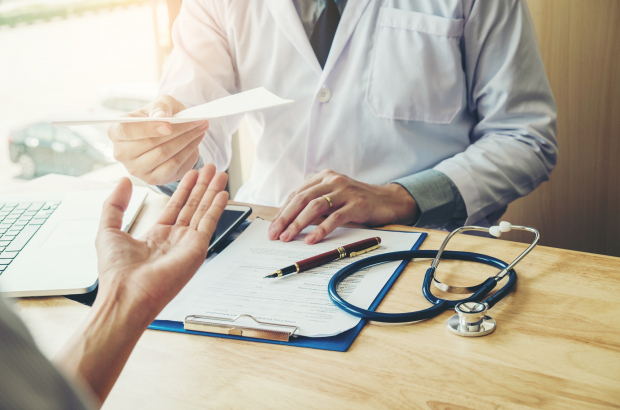 Partena's basic policy covers GP consultations and specialist consultations such as gynaecologists, ophthalmologists, cardiologists, paediatricians and psychiatrists. In addition, Partena makes small refunds for complimentary therapy consultations, which include osteopathy, chiropractic and acupuncture. It pays to see what is and isn’t included in basic coverage, especially if you know you’ll be prone to use some services more than others.